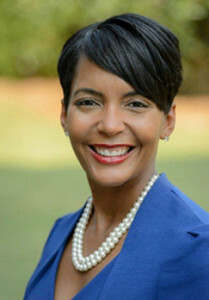 (APN) ATLANTA — The Board of Directors of the Atlanta Fulton County Recreation Authority has removed the Executive Director of the Authority, and replaced her with Atlanta City Councilwoman Keisha Lance Bottoms (District 11), a strong advocate for Mayor Kasim Reed. The position pays 135,000 dollars per year. “I’m very excited,” Bottoms told Atlanta Progressive News. “Personally, being born and raised in Atlanta, the opportunity to have a part in this amazing transformation that’s about to take place, is an opportunity most wouldn’t want to pass up, when you talk about Turner Field and its iconic status, and potential for redevelopment,” Bottoms said, also citing Philips Arena. “As an attorney and policymaker, I have a nuanced understanding of balancing community interests and private interests, et cetera, that many people do not have,” she said. In the midst of a heavily contentious Turner Field stadium redevelopment project, not everyone was thrilled with an appointment that went through no formal candidate vetting process. “It has come to my attention that Ms. Violet Travis Ricks was removed as Executive Director of the Atlanta Fulton County Recreation Authority. I received this piece of news with equal amounts of dismay and concern. I have no choice but to publicly express my opposition to it,” Fulton County Commission Chair John Eaves said in a recent statement. “The taxpayers of our county demand accountability and transparency from those of us elected to serve them. My concern is this move provides them with neither. The hiring of a sitting City Council Member hired as a full time employee, as I understand it, in Ms. Ricks place was not done as part of a transparent open process,” Eaves said. “There was no interview by the Authority nor was the position advertised,” Eaves said. “When former City Councilmember Davetta Johnson Mitchell was selected to head the Authority, she was required to resign from City Council. AFCRA is an entity charged with being a good, nonpartisan steward of taxpayers’ funds. It is responsible for making facilities decisions in the public interest. Paying a political figure to oversee the board smacks of cronyism and is extraordinarily questionable,” Eaves said. “Neither I, nor our County Attorney, was consulted in advance and have not received any form of communication from AFCRA,” he said. Atlanta Progressive News previously reported on Eaves being shunned by Reed when discussions of the future of Turner Field were in question. Reed claimed the issue did not involved Eaves, yet the AFCRA is one of the primary bodies overseeing any Turner Field project. “I think to the extent people think it was influenced by the Mayor, is because of the composition of the Board, which is comprised of appointees from both Fulton and the City of Atlanta. The City of Atlanta makes six appointments and Fulton County makes three appointments,” Bottoms said. “I assume that’s where the impression has come from,” she said. “This organization is not an entity of the City and it’s not an entity by Fulton County. It’s created by the State, per statute. It’s not funded by the City, it’s not funded by the County. All of its funding comes from revenue generated through various entities affiliated with the Board,” Bottoms said. “Three of the appointees were Fulton County appointees; it was a unanimous vote; so to the extent there was concern on behalf of Fulton County, that was not expressed by the Board – the way to express that would’ve been not to support the recommendation to have me serve,” Bottoms said. “I had a meeting with Ms. Ricks, where she told me she’s very happy to be moving on, she’s available to assist me in every way possible,” Bottoms said. “The idea that somehow this was done in secret or against her will, is not the sentiment she has expressed to me,” Bottoms said. “I reached out to Commissioner Eaves, told him I’m looking forward to working with him and talk through his concerns. I have not received a response,” she said. “I am thrilled to work with Commissioner Eaves, the County, the City of Atlanta, and other stakeholders,” she said. “As far as I’m concerned, I’m coming in with a clean slate – and I have a 21 year career as an attorney without an ethical blemish, I’ve been on Council six years without an ethical blemish,” she said.